Rent First Class Back Bay Hotel | Corporate Events | Wedding Locations, Event Spaces and Party Venues. 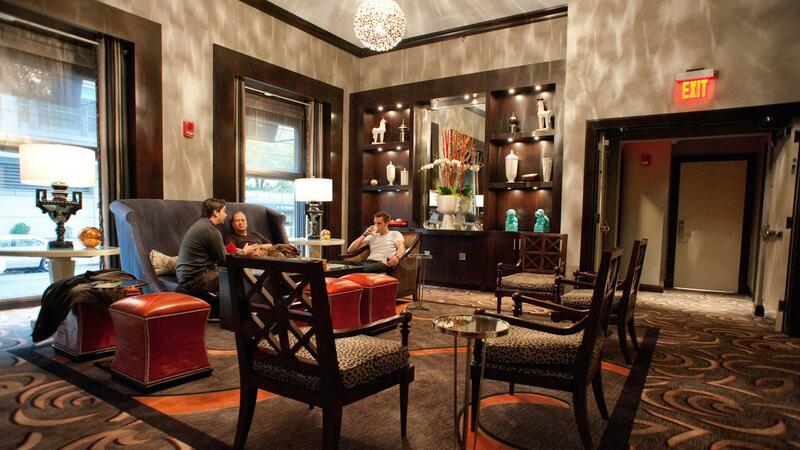 Embrace your individuality at our Back Bay hotel. We offer fashionable and inspiring spaces for small meetings, private dinners, celebrations and special events in Boston. It was on July 4, 1891 that New England aristocrats and discerning travelers from all over the states first strode through the doors of our hotel, a fine, first-class Boston hotel located in the heart of the Back Bay. This lodging "house" quickly became one of the most desirable places to stay, namely for the personalized, intuitive service it is still known for today. Never wavering from the premier service-oriented values it was founded upon, the hotel continues to offer refreshingly contemporary urban luxury right in the heart of Boston. Building upon the strength of our history, we stand committed to providing world-class luxury and personalized service at every corner. Our state-of-the-art conference room features a private entrance, contemporary décor, seating for 14 and custom catering served fresh from our restaurant kitchen. Enhance your event with our meeting packages, carefully crafted to give all the tools you need for success.